Twist the Oreos apart. Coat each half with chocolate icing. 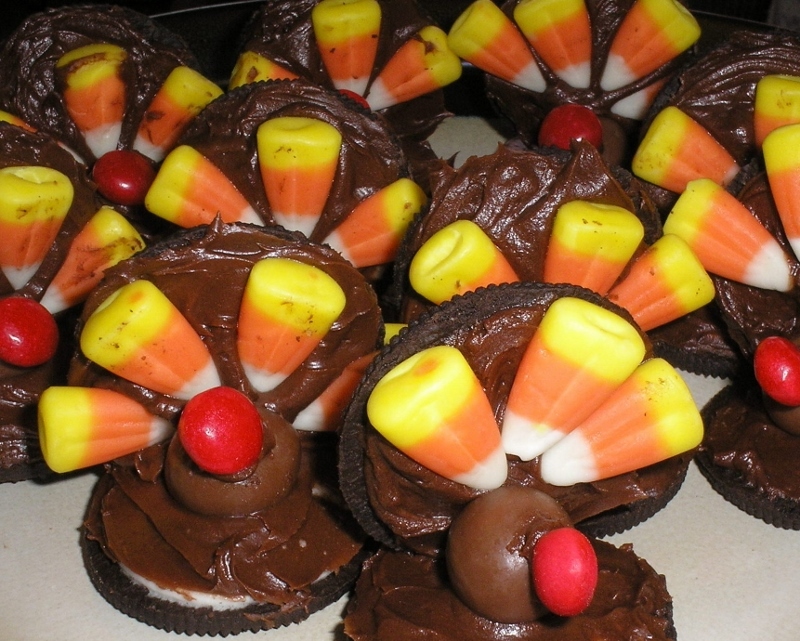 Place 3-4 candy corns in a fan-like design in one, then stick into the other half for the "turkey tail". Nestle a malted milk ball in front of 'the tail'. You may need to add more icing for "glue". Put a dab of icing on one red hot, then place on the malted milk ball for the "gobbler".